Can't stay awake in meetings? Want to have some fun during that endless buzzword talk? 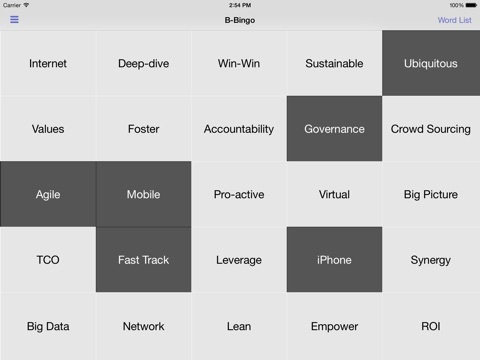 Play B-Bingo at meetings, conferences, whenever you have to listen to a really boring talk. 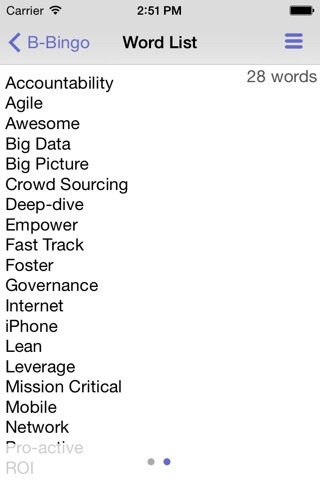 The first one to mark 5 buzzwords in a horizontal, vertical or diagonal row wins B-Bingo! Select New from the menu or shake your iPhone to start with a new buzzword layout. 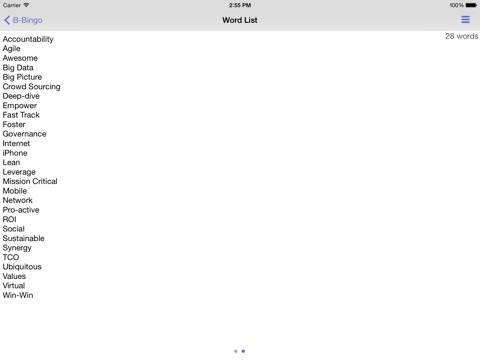 B-Bingo comes with a pre-loaded word list but you can also define your own lists. Exchange them with other B-Bingo players via Mail or iTunes. Team-Play: connect with others over local WiFi or Bluetooth connection, exchange word lists, see who wins first. See web site for full description.